One thing on our to-do list before baby #2 makes his appearance was to get a sectional for the basement. 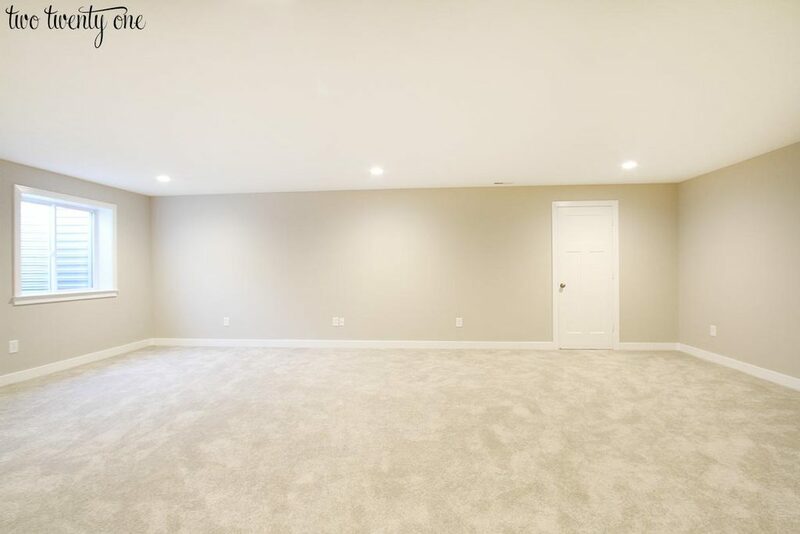 In case you missed the home tour, we have a partially finished basement. The finished part of the basement is around 600 square feet. Our intended use for the space is a place for TV and movie watching, video game playing, and an area for Owen’s bigger toys (i.e. his roller coaster). Here’s a pic of it before we moved in. You know, before the room filled with boxes of my random crap. We wanted to get a sectional for this corner of the room. I polled readers on Instagram on their sectional recommendations. And I got a handful of recs for the sectional we decided to go with. I’m working on a sectional round up post where I’m compiling all the suggestions. So back on December 30th, we drove down to the mall, sat on the sectional, decided it was pretty comfy, drove home, measured our space one more time to be sure it’d fit, and ordered it online. A week later it was delivered. The color is called Chrome Beige, and it’s a really pretty beige in my opinion. The sectional is comfortable and a good depth. When we’ve watched TV or a movie in the basement, I’ve sat in the corner with my legs stretched toward the right arm of the sectional. I didn’t want to go with a wood or metal coffee table because the basement is Owen’s area to run around and be crazy. So I searched high and low for a navy tufted ottoman. 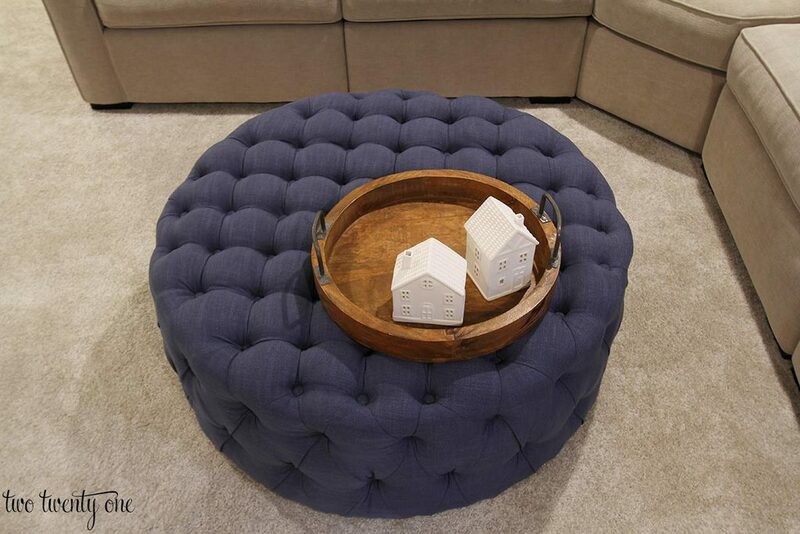 Do you know how hard it is to find a sizable navy tufted ottoman for under $400? Hint: very hard. I initially ordered this ottoman because it looked navy in the online photos, but when it arrived, it was more of a peacock blue. So then I pulled the trigger on this ottoman, but the online photos make it look more of a light blue than navy. I mean seriously, it’s 2018, can we please upload the correct-looking photos for products? Is that too much to ask? 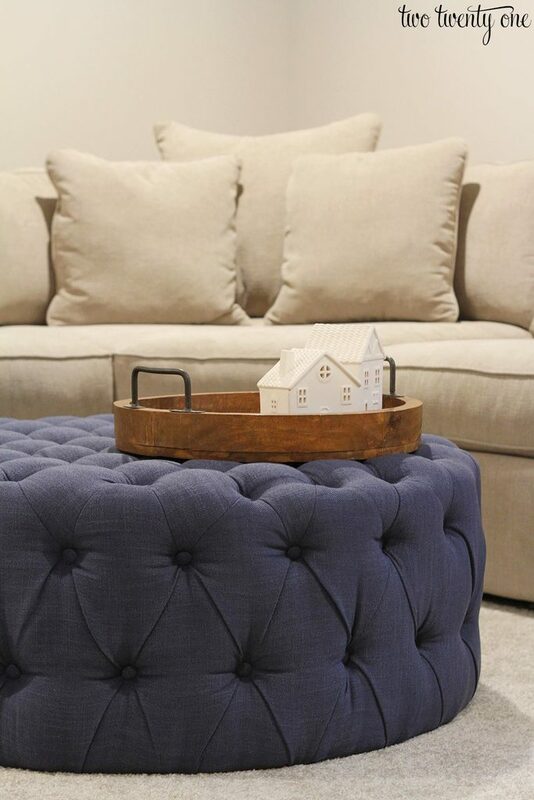 I’m not kidding, just look at the pic below from the listing for a ‘navy’ ottoman. It’s like they don’t want to make any sales. However, in the reviews I found, two purchasers said it’s navy and they included (poorly lit) photos. I have to somewhat disagree and say that it’s a light navy/mid-denim sort of color in real life, but it works. 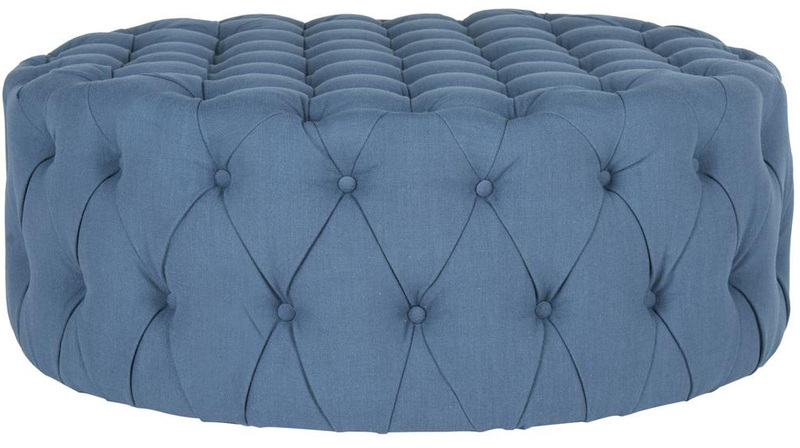 That, and it’s the only navy tufted ottoman I could find for less than $350. The second I rolled the ottoman into the basement, Owen started launching himself off the ottoman onto the sectional and vice versa. Perfect example of why I got a tufted ottoman vs. a hard surface coffee table. I plan on ScotchGarding the ottoman this weekend, juuust to be on the safe side. The sectional cushion and pillow covers all have zippers so I can take them off and wash them as needed. The ottoman doesn’t have legs, making it lower than the couch, which isn’t the most comfortable when you want to kick your feet up so we may add feet to it. I’ll probably paint the walls one day because there’s a whole lot of beige tones going on with the walls, sectional, and carpet. I’m also going to search for a rug. I also need to get art work for the walls, throw pillows, and end tables for this little corner of the room. If you’re looking for a sectional, I highly recommend this one (after less than one month of use). And it’s currently on major sale– 34% off. Plus, it comes in a multitude of sectional configurations. It’s also available in a regular sofa, love seat, sleeper sofa, chair, and ottoman, all of which are also on sale right now, too. Because I was curious, I checked on the sectional a week after we bought it, and after the sale ended, and it was $1000 more than what we paid– so definitely snag it when it’s on sale. 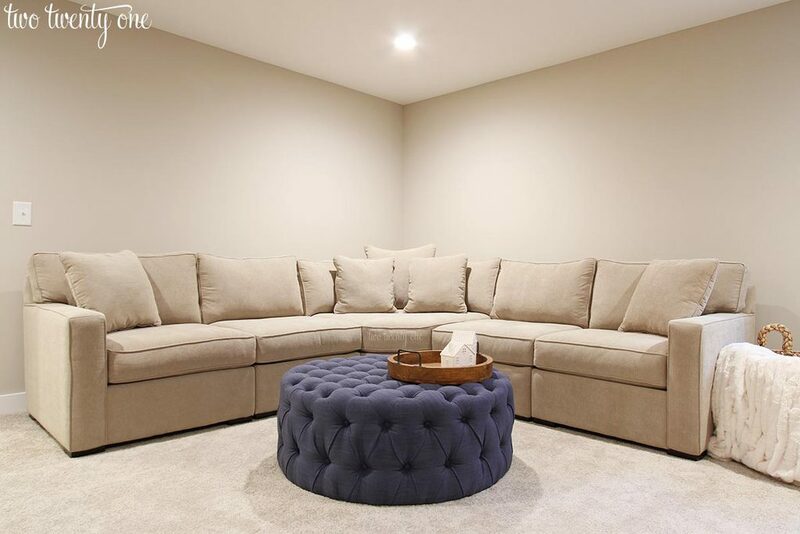 Ok so sort of a ridiculous question, but we’ve been looking for a sectional for our basement. I hate cheap furniture that crinkles when you sit down on it – does that make sense? Does this sectional do that? We’ve had issues finding a reasonably priced couch or sectional that doesn’t. No, this one doesn’t do that. The other night, I had a bunch of neighbors over to watch The Bachelor, and I didn’t notice the fabric wrinkling or creasing with 5 of us sitting on it. That may start to happen a little once the couch is fully broken in. But I didn’t see that on the showroom couch either, which was well broken in. Thanks for sharing ! 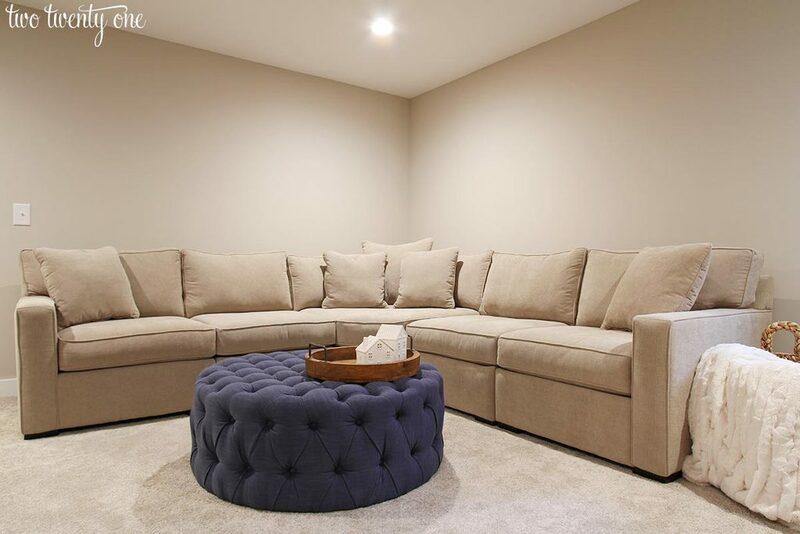 In the market for a new sectional .. how would you describe the material ? I don’t really know how to describe the material, which is why I included the up close photo. Hah! The Macy’s description says that the fabric is spot clean only but you say that you can remove the covers and clean them? I feel like most furniture with zippered cushion covers say that. I just wouldn’t put them in the dryer for very long. Oh ok. Keep us updated on that. Thanks! Oooooohhhhh Aaaaaaaahhhhhhh I really like the sectional! And the ottoman is spectacular. 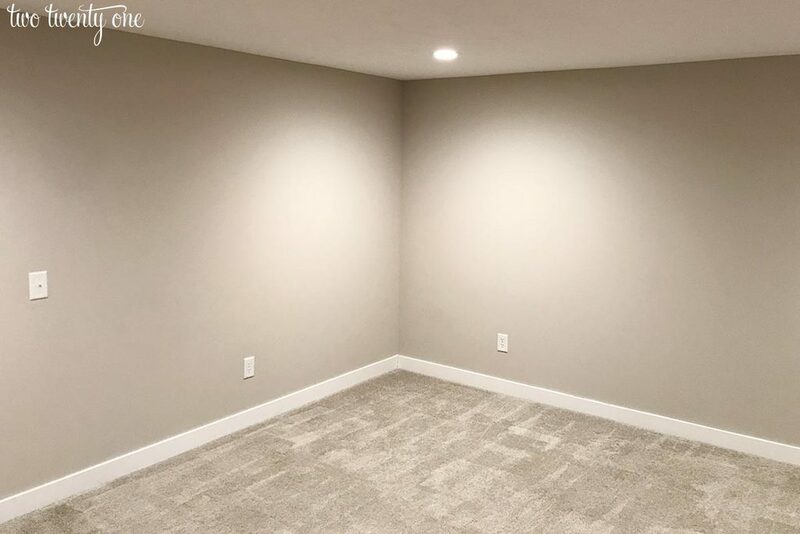 I love that it looks clean, light, airy, not at all like a basement. I plan to share your home tour photos w/my husband. We are going to build in a few years and your house is exactly what I’m looking for. I love it! We have had this sofa (in the dark grey) and the chair that is part of the same collection for over a year. Both look just as good today as they did the day they were delivered. We’ve been very happy with them (we have two small boys, two cats and a dog in the mix as well). Love it! That will be a well used space in your home! The ottoman is perfect and I’m sure took some serious internet searches! Love that as you decorate you really think about how your kids (just Owen for now) will be in the space! Thx for sharing it all! 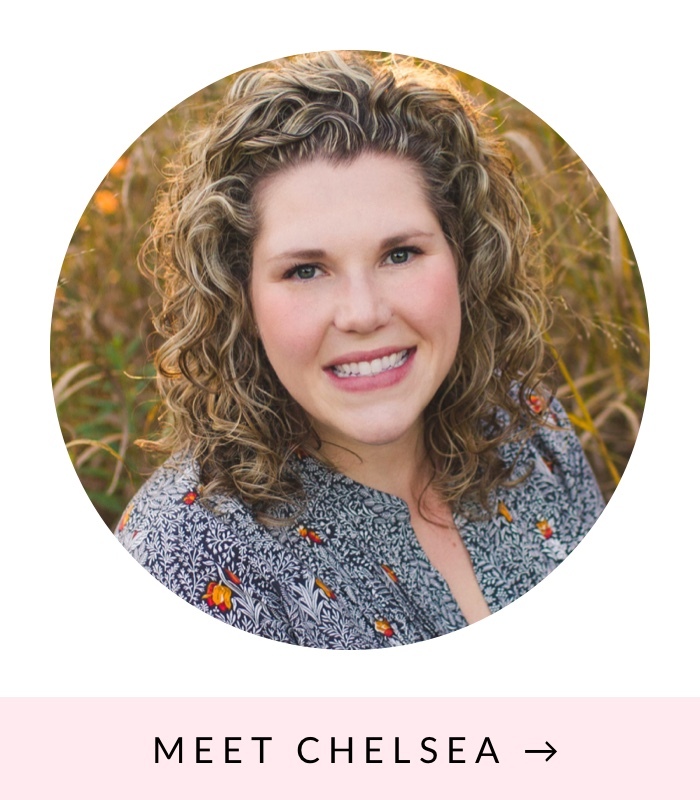 Chelsea, thank you for the sofa recommendation. 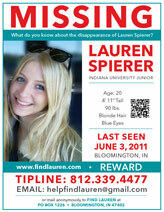 We are also looking for one although I wish there were other colors to chose from. We have six small dogs who shed a lot and bring in lots of leaves and grass from outside. ? I don’t know if the beige is to light or if the dark grey would show more blessings! Is the fabric smooth and seem easy to wipe off if needed? I need to get the sofa and for their dog door—-add a blower system like a car wash has!LOL that way they would get ‘blown’ clean when coming back inside.. ? thanks Chelsea . I enjoy your blog a lot. They have more custom colors (http://bit.ly/2DOvu4S). I’d assume it will take longer (6-8 weeks) to get the sofa since they’re custom. Hah! I’m sure if you invented a wash and dry doggy door it would be very popular. We have 36″ tall leather couches in our living room so we’re used to those. It’s hard to find high-backed upholstered sofas. Since the sectional is in our basement and we use it mostly for lounging and watching movies, I don’t find it uncomfortable. A couple times I have used one of the throw pillows on top of the back cushion for extra support. Love your post – thanks for sharing! We are looking at this sectional for our living room. We have a dog that sheds. Do you know if this sofa is easy to vacuum or lint roll to get rid of hair!? 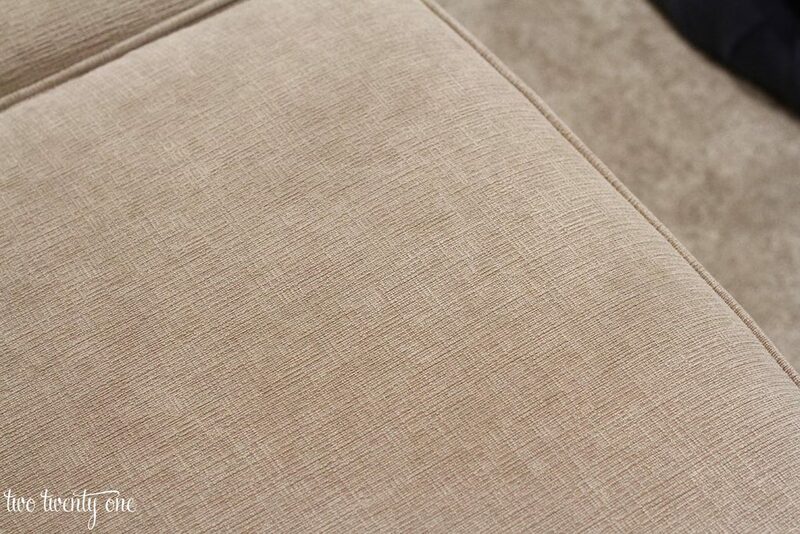 Our current sofa has the fabric where pet hair sticks into it and it won’t come out.